The latest Jacksonville Jaguars news. Stay up-to-date on Jaguars rumors. breaking news, player reports and whispered gossip from around the league. 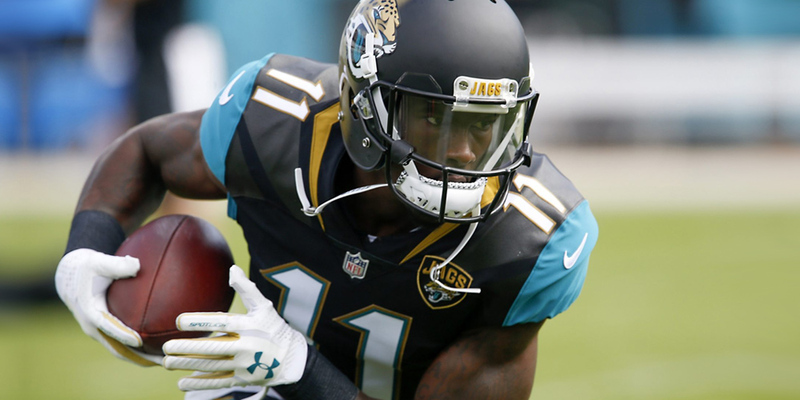 Stock Up on Keelan Cole and Dede Westbrook after Marqise Lee Placed on I.R. The Jaguars made official on Monday what most feared following Saturday’s preseason game against Atlanta, announcing that wide receiver Marqise Lee will be placed on season-ending Injured Reserve. 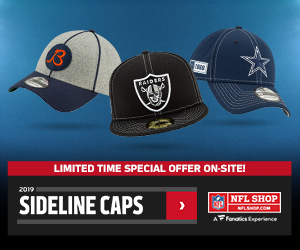 Lee was injured during the first quarter against the Falcons, suffering what appeared to be a serious knee injury when Atlanta safety Damontae Kazee hit him low following a 20-yard reception. The helmet-to-knee contact, which drew a 15-yard penalty on Kazee, caused Lee’s leg to bend awkwardly and the Jaguars medical staff almost immediately called for the cart. Lee led Jacksonville in reception last year with 56 and was poised to enter the 2018 season as the team’s number-one receiver. Despite losing Allen Robinson and Allen Hurns to free agency in the offseason, Jacksonville has a stable of receivers capable of stepping up in Lee’s absence. 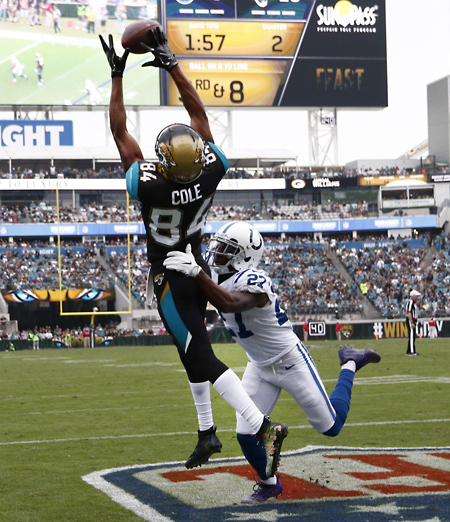 Keelan Cole led the Jaguars in receiving yards as a rookie in 2017, performing particularly well down the stretch with 23 catches for 475 yards and three touchdowns across five December games. He started Saturday’s preseason game alongside Lee and is the most likely candidate to assume the role of Jacksonville’s top pass-catcher. Cole’s 14th round ADP will be on the rise over the final weeks leading up to the start of the NFL season, but he makes for a good WR3/Flex option as long as his asking price doesn’t get too high. Dede Westbrook is the other primary beneficiary of the Lee injury. A fourth-round draft pick out of Oklahoma in 2017, Westbrook missed most of his rookie season with a core muscle injury before showing flashes after returning from Injured Reserve in Week 11. He has been praised in training camp this summer for improved route-running and having a better feel for the offense, and Westbrook saw time with the Jaguars first-team after Lee left the game on Saturday. Westbrook was a dynamic player in college, showing great hands and running a 4.39 in his 40-yard dash at Oklahoma’s pro day. Entering his second NFL season healthy, Westbrook has as much upside as any Jacksonville receiver in 2018. In the wake of the Lee injury, fantasy owners looking to speculate on potential value late in drafts should also consider Donte Moncrief and D.J. Chark. Following four years in Indianapolis, Moncrief joined the Jaguars as a free agent in the offseason, signing a one-year, $9.6 million contract. The veteran receiver missed 11 games over the last two seasons with the Colts and has already dealt with a knee injury in training camp this year, but Moncrief has the ability to push Cole and Westbrook for snaps when healthy. 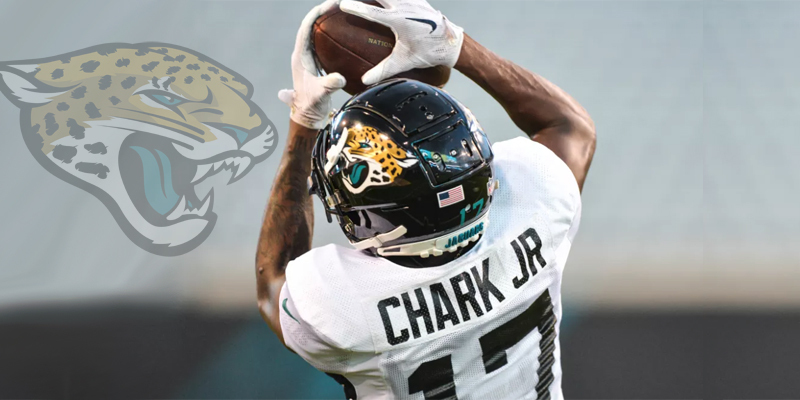 Chark is a raw-but-talented rookie from LSU, whom the Jaguars selected in the second round of this year’s NFL Draft. He boasts elite athleticism and is the tallest of the Jacksonville receivers at 6’4”, making him a potential red-zone target and deep threat. Tight end Austin Seferian-Jenkins also figures to see a few more targets with Lee out, furthering his potential as a sleeper at the position with streaming appeal in the right matchups. The Jaguars receivers have a tall task every day at practice going against two of the league’s top cornerbacks, Jalen Ramsey and A.J. Bouye. Most recently, second-round draft pick D.J. Chark has stood out as a real threat to fight for a role on the team’s incredibly crowded receiver corps. The Florida Times-Union’s Phillip Heilman has come away impressed by Chark at camp, noting “(Chark) has made at least one eye-opening play almost every day during training camp,” Heilman said. “None was more impressive than back-to-back reps Wednesday during a one-on-one drill against cornerback Jalen Ramsey. D.J. Chark has been grateful for the opportunity to work against such talented corners each and every day. As mentioned above, the Jaguars have a very crowded room of receivers at the moment, but the thing working in Chark’s favor is that no one’s role is set in stone just yet. Last year, the Jags receiver corps was a committee effort where rookie Keelan Cole led the team with 748 yards, Marqise Lee led the team with 96 targets and 56 receptions and Mercedes Lewis randomly led the team with 5 receiving TD’s. Cole and Lee are still there this season, Dede Westbrook is looking for a bounce back after a lost season and the team also added Donte Moncrief and Austin Seferian-Jenkins to the mix. The competition will be fierce and no wideout will likely offer more than a boom or bust WR3 value, especially on a team with a run-first offense that relies on its defense to win games. Chark offers game-breaking speed, however, as evidenced by his 4.34-second 40-yard dash at the combine. Most of Chark’s value lies in dynasty leagues and as a late round lottery ticket in best ball formats. Marqise Lee is currently the first Jaguar’s wideout off the board in standard fantasy drafts in the middle of the 11th round on FantasyFootballCalculator.com, followed by Keelan Cole and Dede Westbrook around the 13/14 round turn. Chark is currently going undrafted in standard redraft leagues but could make a push for relevance with a solid showing this preseason. “He’s (Bortles) a tough, resilient son-of-a-gun” said Coughlin. As LockedOnJaguars.com writer Zach Goodall notes, there was a lot of talk that Coughlin wasn’t confident in Bortles heading into last season. 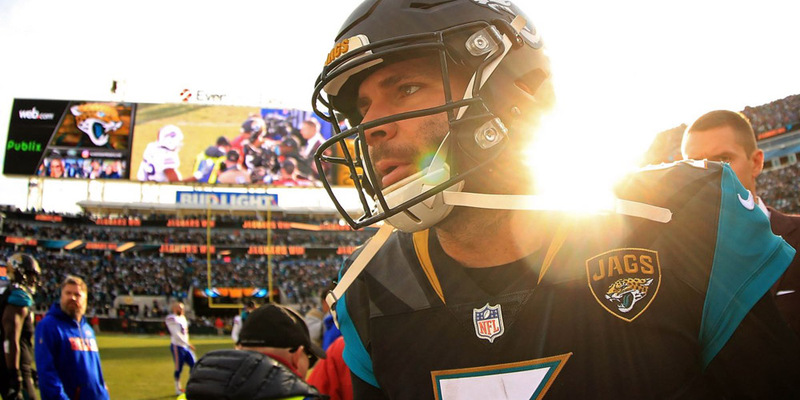 It seems that Bortles was able to change his mind as the Jaguars made a push into the playoffs. Bortles quietly finished as the overall QB13 last season in fantasy football according to fantasypros.com, which included four individual weeks as a top-5 quarterback. Last season was actually a step back after Bortles had finished as the QB9 in 2016 and QB4 in 2015. Bortles has a stacked set of wide receivers as well as a new red zone threat in Tight End, Austin Seferian-Jenkins. Constantly underrated for fantasy purposes, Bortles is a rock solid grab as your QB2 this season. Redskins Rumors: Adrian Peterson to Get 15 to 16 Carries a Game? Jonathan Williams to Fill the Mark Ingram Void? Josh Allen Taking First Team Reps, Potential Week One Starter?